Our September blog and Radio Show features teachers in the public schools of Virginia, Colorado, and Wales sharing how playing Classical music in the background of their classrooms helped their students concentrate, relax, and do a better job on their schoolwork. Also included are articles on high school students improving academic and language skills through taking a music class, stopping Epileptic seizures with the right music, and music therapy heals brain-injured patients. Our article of the month is “Failure is a Stepping to Success” by Madeline Frank, Ph.D., DTM. The new school year is also a wonderful opportunity to start learning a musical instrument to learn discipline, cooperation, teamwork, motivation, concentration and self-esteem. Studying a musical instrument develops millions of new connections, synapses, between nerve cells in the brain. Many of the world’s scientists, doctors, teachers, authors, authors and mathematicians are also musicians. Teachers in Virginia, Colorado, and Wales: What can listening to Mozart Symphonies in the background of your classroom do for your students? Dr. Anne Savan, a Welsh 7 th grade science teacher taught challenging students who had behavioral, emotional, and special educational difficulties. Continuing Results of Mozart Symphonies in the background of Dr. Savan’s Classroom: The next five months Dr. Savan continued playing Mozart Symphonies in the background of her classroom and her students were cooperative, calm, and relaxed with improved coordination able to complete the work she set before them. 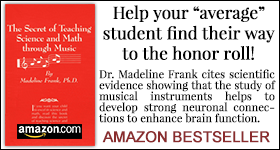 Can after school homework be done with classical music in the background for better results? Mrs. J has four children, ages 23, 20, 16, and 12 who have been listening to Mozart and other classical music while doing their homework after school since March 2005. She says, “They have become more focused and relaxed, finishing homework quicker, with more accuracy which has led to higher grades.” Her oldest has graduated University with honors and is in graduate school, her second oldest is in college, and her other two children are honor students in the public schools. On your first day of school, your first minute of class, have your Mozart Symphony playing in the background of your classroom, before your students walk in, so your students can concentrate, focus, and calmly work on their classwork just like Mrs. I’s students, Mrs. G’s students, Mrs. JC’s students, Dr. Savan’s students, Mrs. C’s students, Mrs. S’s students, and Mrs. J’s children. Radio Show feature question for September 2015 is the second part of the series begun on August 2015: Beginning on your “First Day of School, in the first minute of your class, what can listening to Mozart Symphonies in the background of your classroom do for your students? Can being fired from your job be a stepping-stone for your success? Napoleon Hill said, “Most great people have attained their greatest success just one step beyond their greatest failure. In 1978 Bernie Marcus and Arthur Blank were executives of “Handy Dan” part of Daylin, Inc. Their division, Handy Dan, was making lots of money, while Daylin, Inc. was going bankrupt. They were suddenly fired! Before they were fired, Marcus and Blank, had been experimenting at Handy Dan’s by lowering the prices on some items. “They observed that when they marked down items, volume increased and costs as a percentage of sales decreased.” From this successful idea they developed their step-by-step plan of action. They decided on Atlanta as their store location. Then they located two large empty stores and put on the shelves 18,000 products from plumbing, hardware, electrical, paint, and lumber. They charged close to 1/3 less for each item. Marcus and Blank selected and trained their employees to “deliver the best customer service”. They chose knowledgeable salespeople who knew about their products and were able to answer customer’s questions, and direct them to the best equipment for their needs. Their employees were able to tell customers how to do the work. Their stores had everything that a homeowner or contractor needed ,under one roof, for the lowest price possible. On the first day that they opened their store, Marcus and Blank gave their children $1 bills to give out to customers as a thank you for coming in. By evening, 5pm or 6pm, their children were in the parking lot giving out a $1 to each person they could convince to come into the store. On the third day, “a satisfied customer returned” bring with her a thank you gift of “a bag of okra for Marcus” for helping her solve her problem. She gave them hope and then “word of mouth” brought more customers into Marcus and Blank’s store, “The Home Depot” . Today, The Home Depot has 371,000 employees’ worldwide. They sell hardware, plumbing, lumber, tools, home appliances, electrical supplies, paint, flooring, building materials, and gardening equipment and supplies. In 2014, Home Depot earned $78.812 billion in profit an increase of over $4 billion from 2013. What are the three lessons you can learn from Bernie Marcus and Arthur Blank about stepping-stones into success? 1) Remembering their successes with lowering the prices on certain items and saving by purchasing in volume, Marcus and Blank wrote up their step-by-step plan of action. They located two empty large buildings stores in Atlanta. On the shelves they put 18,000 products from plumbing, hardware, electrical, paint, and lumber. They charged close to 1/3 less for each item. 2) They trained their employees to “deliver the best customer service”. They chose knowledgeable sales people who knew their products and were able to answer customer’s questions, and direct them to the best equipment for their needs. 3) Their stores sold homeowners everything they needed in one store and their expert sales people told them how to repair it. Contractors were able to find everything they needed in one store for the lowest price possible. It was a “Do it yourself” store. If Bernie Marcus and Arthur Blank hadn’t been fired at “Handy Dan’s” they would never have created “The Home Depot” and employed 371,000 people worldwide, giving them good jobs to take care of themselves and their families. Their store was a how to do it store that housed all the products needed under one roof for homeowners and contractors. Their store filled a need! Napoleon Hill said, “Most great people have attained their greatest success just one step beyond their greatest failure. So the next time you fail at something, remember the failure of Bernie Marcus and Arthur Blank and how they responded to failure by developing a new plan of action to develop their “Do it yourself” store – The Home Depot. By the way, have you ever heard of “Handy Dan’s” before this article? “Taking A Music Class In High School Improves Teen Language Skills, May Boost Academic Performance” (July 26, 2015) by Anthony Rivas from the Medical Daily. “How a NeuroRehab Startup Is Harnessing Music to Heal Brain Injury Patients” (July 7, 2015) by Rebecca Strong. “MedRhythms is already contracting its therapy services to local hospitals.” The power of music is helping to heal patients after brain injuries. 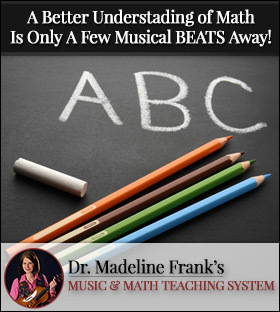 For over 25 years, Dr. Madeline Frank has helped children and adults overcome problems through Classical music. 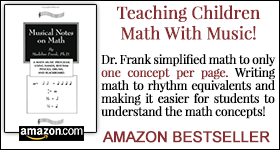 Madeline Frank, Ph.D., DTM is an award winning teacher, author, researcher, speaker and concert artist. She has found a scientific link between studying and/or listening to musical instruments and academic and societal success. 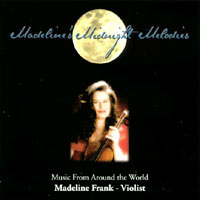 Madeline Frank earned her Bachelor and Master’s degree from the Juilliard School of Music. Her education has included scholarships at the Juilliard School, Indiana University, and the University of Cincinnati and she has a violin performance diploma from the North Carolina School of the Arts. (C) 2015 Madeline Frank.